Credit card debt. It seems to be an inevitable part of life for many Americans. And, recent data suggests that it really is. According to the Federal Reserve, American credit card debt hit a record high in 2017, rising to more than $1 trillion. Many people carrying high balances on their credit cards will notice their credit score suffering as a result. That’s because credit utilization ratio makes up a large portion of a credit score. So, where in the U.S. is the bulk of that credit card debt located? Let’s take a look at the most recent data on 25 cities where the highest credit card debt is held by residents as well as the median income in those areas. Washington, D.C. Residents of our nation’s capital have an average card balance of $7,442. That debt level may be less burdensome that it appears, however, considering that D.C. enjoys one of the higher median income levels — $46,536. Dallas/Fort Worth. The Lone Star State has several cities that made a recent list of cities with the most debt. Specifically in the Dallas area, credit card debt hovers at an average of $7,171, and the median income there is $33,621. New York City. 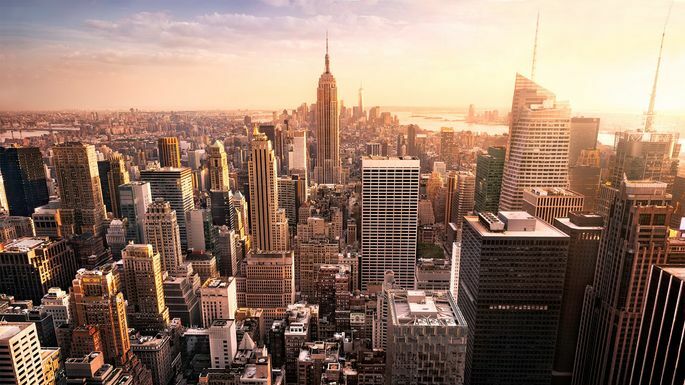 The Big Apple has among the highest cost of living, so it’s not surprising it made the list of cities with the most credit card debt. The price for a one-bedroom apartment in Manhattan is more than $3,700 per month. Credit card debt averages $7,145 and the median income is low compared to the cost of living, at $38,951. Houston. The second Texas city on the list, Houston’s average credit card debt is $7,121 and the median income is $33,244. San Antonio. The Alamo City has almost as high of a debt average as it’s Texas counterparts, at $7,070, but its median income is significantly lower than Dallas or Houston, hovering at about $29,124. Baltimore. In Baltimore, the average person carries a credit card balance of $6,985. The median income there is $41,241. On the bright side, the city had one of the top 25 strongest job markets in 2017. Atlanta. The average credit card debt in Atlanta is $6,907 compared to a median income of $32,658. However, the Big Peach also enjoyed one of the 25 strongest job markets in the country last year. San Diego. Credit card debt averages $6,848 in San Diego and the median income is at $32,656. Like New York, San Diego residents pay higher-than-average rent, with rents increasing more than 7 percent between 2016 and 2017. Renters pay an average of more than $1,800 per month. Seattle. This coveted vacation destination is also a place many people want to call home. But they’ll pay a hefty price to do so because Seattle is also among the cities with highest rents and cost of living. The average credit card balance here is $6,729 compared to an average income of $40,482…. Next articleWhen it Comes to Your Rental Portfolio, How Much Cash Flow is Enough? Should You Do Your Own Inspection? The first thing I have to point out about inspections is that unless you are a licensed and experienced contractor, do not do your own inspection. Yes, you should walk through the property and make sure there are no major red flags before spending the money on an inspector, but your official inspection should be done by a real, licensed property inspector. How to Find an Inspector The easiest way to find a home inspector is by asking your real estate agent who they like to work with. Related: 4 Above-and-Beyond Home Inspections That Could Save You Money The Day of the Inspection If possible, make sure the power, water, and all other utilities for the property are turned on before the inspection. What Does the Inspector Look For? They’ll crawl into the attic and look for issues there, and they’ll hopefully walk up on the roof to check out the shingles and the chimney, if there is one. After the Inspection The report that the inspector provides you several days after the inspection will likely be scary! After all, the inspector’s job is to discover every single possible problem they can about the property, and let’s be honest, no property is perfect! Should You Use Your Contractor as Your Inspector? What Is Influencer Marketing And How Can I Find An Influencer?